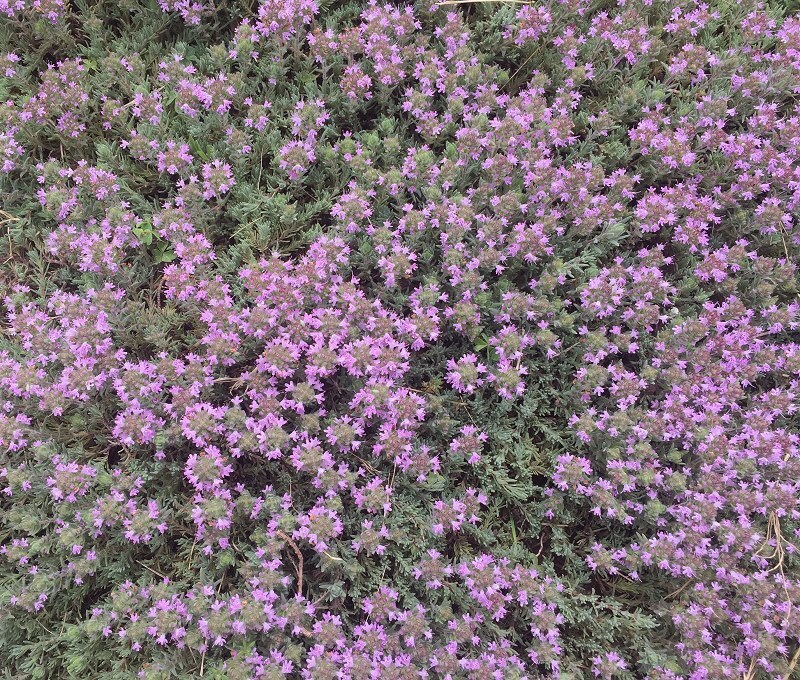 Silver Needle Thyme is one of the most unusal ground cover thymes. 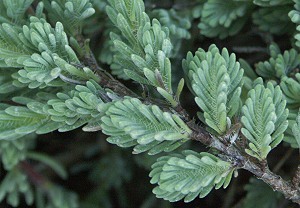 Even though it may look like a stiff little juniper twig, it is actually soft to walk on. And, unlike many of the other Ground Cover Thymes that are grassy green, Silver Needle Thyme has a soft silvery green hue. It blooms in early spring and is covered in dark lilac flowers. The photo below was taken from above the plant so it is hard to tell that the abundant flowers are really short and tight to the ground. 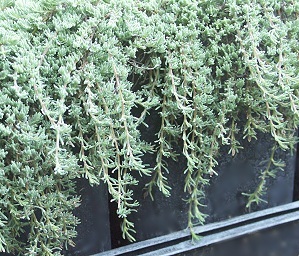 Silver Needle Thyme is also great in a container or cascading over a short wall or edging. This plant is often available in plug trays. These trays hold 128 of all the same plant. They are a great low cost way to fill a lot of space. Each cell is 3/4 of inch by an inch. Check here to see if Silver Needle Thyme Plug Trays are available.